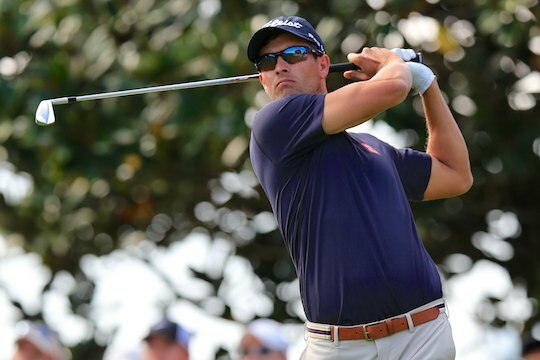 Masters champion Adam Scott warmed-up for his Augusta National defence next month with a PGA Tour equal career low and a share of the Bay Hill course record after a sizzling 62 on the first day of the Arnold Palmer Invitational. The Australian grabbed two eagles, seven birdies and just one bogey in ideal scoring conditions in suburban Orlando. It was the sixth occasion Scott has shot 62 on the PGA Tour with the last occasion coming on the opening day of the 2011 WGC – Bridgestone Invitational and what would become his first and only WGC success. As well, Scott’s round was just one shot shy of his career best of a 61 he shot on the final day to win the 2008 Commercial Bank Qatar Masters. And his round of 62 at Bay Hill matches the course record set by Andy Bean (1981) and Greg Norman (1984) since Bay Hill first hosted a Tour event in 1979. “I’m really thrilled with the start today,” said Scott. Scott is making his first appearance at the Arnold Palmer Invitational since 2009. He’s missed the cut in his last two starts; his only top-10 finish in six previous starts came in 2004, when he tied for third. However while he talked about coming back fresh it had been a restless night for the Queensland-born Scott who is struggling with flu-like symptoms. “I was up nearly every hour last night and just couldn’t breathe,” he added.